In a way Michael Dirda's elegant and delightful little tome On Conan Doyle: Or, The Whole Art of Storytelling is misleading. He pretends to be entirely fair in that he warns his readers: this is not a book about Sherlock Holmes and Dr Watson, it is about Conan Doyle as a storyteller; it is about his other books, a little bit about him and a great deal about the post-Doyle Sherlockian developments, notably about the Baker Street Irregulars, a slightly loopy society of eminent lovers of the canon who "play the game" of elucidating gaps and contradictions. Having issued this warning Mr Dirda can sit back and smile as his disappointed readers find that he has, indeed, been completely fair. This book is not about Sherlock Holmes, or not exactly about him; nor is it exactly about his fascinating creator; it is more about the effect Conan Doyle has had on his readers, on the literary world and on his faithful followers. Those who call Conan Doyle the greatest story teller are right. His prose, spare in the more modern stories but with mediaeval and eighteenth century overtones in the historical novels thrown enchantment over the reader from the first line. He had a fine sense of pace, an excellent ear for dialogue and a sense of humour that ranged from sly to slapstick, the latter to be found in some of the stories of medical life and in the Professor Challenger ones. Michael Dirda is no mean stylist himself. He tells of his youthful discovery of the Holmes stories, of his subsequent investigation of other thrillers and detective tales, of his career as a literary journalist and critic, of his further adventures with Holmes and, finally, his involvement with the Baker Street Irregulars. En route he manages to point out that T. S. Eliot's love and use of matters Holmesian go beyond the obviously villaionous Macavity. Dirda is less fond of the rest of Doyle's output though Professor Challenger is obviously a favourite and he is good on the supernatural tales and has some interesting ideas about White Company, which Conan Doyle valued very highly. The highlight of the book is his account of the Baker Street Irregulars, their book collecting habits and fantastic discussions of likely and unlikely events in the lives of Holmes and Watson as well as their real and fictional contemporaries. Dirda'a own articel about Langdale Pike, a briefly mentioned character in one of the weakest stories of the Casebook, The Three Gables, which includes an hitherto unknown "Case for Langdale Pike" is joyously funny though one needs to read it in full in Canadian Holmes: The Journal of the Bootmakers of Toronto. Yes, I think that is real and there are good reasons why the Holmesians of Toronto should be called The Bootmakers. 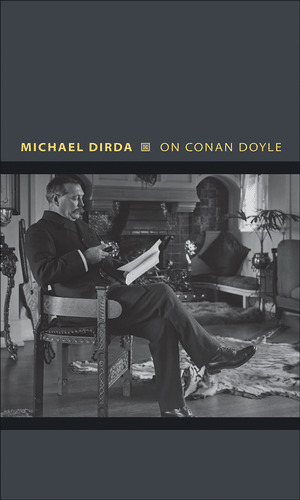 On Conan Doyle is not an introduction to the life and works of Sir Arthur or the Sherlock Holmes stories and novels but a delightful long essay for those who already know and love the master and his output but would like to read a highly knowledgeable person's opinions. While the subject of appeasement in the thirties has been analyzed over and over again (though popular mythology seems to be impervious to historical arguments) less has been written about the appeasement of Stalin in the years 1943 - 45. As it happens, I came across a few details concerning the treatment of Poland in Norman Rose's biography of Harold Nicolson. 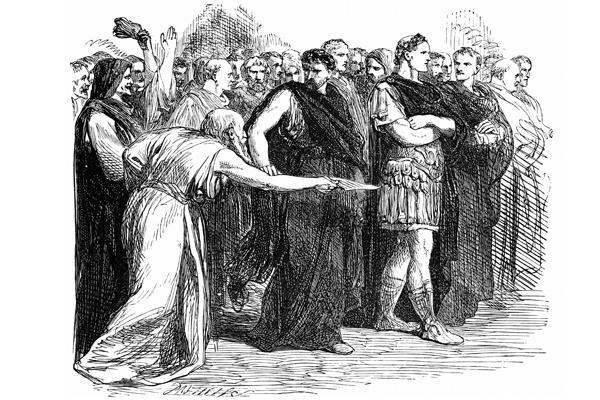 Nicolson's political career was chequered, to put it mildly, and there is something to Rose's theory that he had been "persuaded - some would say, blackmailed - to leave a profession for which he was eminently suited", diplomacy, and found himself entering another, politicws, "for which he was patently ill-suited". Nevertheless, he did have a part to play in the tragicomedy of Parliamentary activity before and during the Second World War. Given Hugh Dalton's views of the Soviet Union and refusal even in the thirties to look at what had been happening in that country, one must assume that this statement, which Rose found in Dalton's unpublished diaries, met with his approval. There is also some support for this extraordinary boast in the wartime diaries of Sir John Colville. The Commons voted overwhelmingly in favour of the policy: 396 to 25 and Churchill congratulated Nicolson for bringing some of the doubters over by his speech. It would appear that some of the "Munichites" spoke against though, given the numbers, not that many voted against. March, on the whole, is not a good time for tyrants and oppressive regimes. It is the month of uprisings and revolutions, regardless of what happens to them afterwards. March 15, for instance saw the start of the Hungarian revolution of 1848. The soothsayer warns Caesar of the Ides of March in a nineteenth century illustration to Shakespeare's play. Louis Calhern (Caesar) is being stabbed by Edmond O'Brien (Casca) in the abysmal 1953 film, which saw Marlon Brando (Mark Antony) assassinating some of Shakespeare's finest lines. 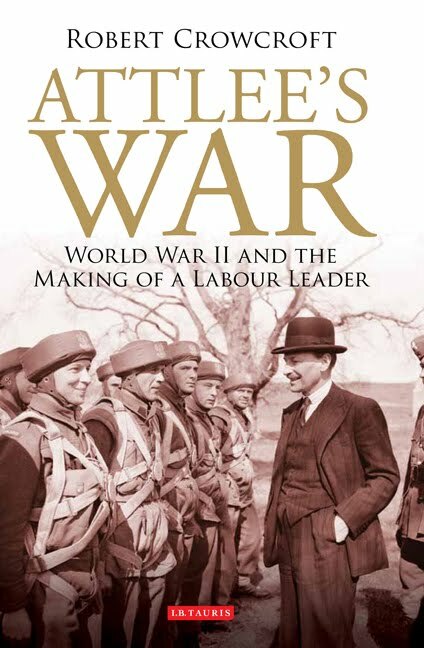 I have started reading Robert Crowcroft's Attlee's War, mentioned on this blog yesterday. It promises to be very interesting though Alistair Cooke's complaint in the review of the book that the author is a little too apt to push himself into the picture is accurate. The whole of the period c.1940-79 is now genuinely a complete historical era. Until quite recently, at least, the 1970s have still felt contemporary, but no longer. This offers both an opportunity and a necessity to rethink the politics of that era. In the historiography of British politics, the period c.1880-1920 is traditionally the era that has generated extensive paradigm-changing work. But the period that encompasses the Second World War to the rise of Thatcher could become conceptually the most exciting era of modern history. Setting aside the slightly mysterious phrasing of the last sentence, one can but agree that there is a need to rethink much of that period and to vanquish some of the myths that still abound. It makes sense to begin in 1940 rather than in 1945 as the greater political and cultural changes came between those two dates with the Labour government continuing the work of those years. As it happens, another book on a similar subject is about to become available (it is so difficult to know with the internet when a book has actually been published). It looks at the mythology and reality of the Battle of Britain and takes in many of Dr Crowcroft's ideas. The Many Not The Few will be an interesting addition to what should now become a growing trend in historiography. Well, we can always hope. The current issue of The Salisbury Review has an interesting review by Alistair Cooke of Robert Crowcroft's Attlee's War: World War II and the Making of a Labour Leader. The book, apparently, destroys certain myths about the war and the coalition government that was in place during it, though it seems to me that those myths are being destroyed slowly by surely anyway. Does anyone who knows anything about the subject really believe that Labour had a "bad war" and flourished only after 1945? Apart from any other factual evidence, that would make no political sense: no party can suddenly emerge from nowhere and create in the space of just a few years a completely new political and economic system that has remained in place despite its many disadvantages for over six decades. The myth that is in place, however, and no amount of historical evidence seems to be able to shift it is that of Neville Chamberlain's "stupidity", "political incompetence", even "treachery". Both the book and the review tackle some important aspects of Chamberlain's political career and lament his untimely demise for in domestic matters Churchill was not just no substitute but actually harmful to party and country. Throughout the 1930s the whole of Whitehall, and most of Westminster, were in awe of a very great man, Neville Chamberlain. He was unrivalled in the despatch of public business. He was unrivalled too in his command of policy in many diverse areas. .... What mattered above all to Chamberlain was the domestic battle that he pursued remorselessly to establish a welfare state based on Tory principles. Even during the tempestuous events abroad in the late 1930s he continued to work tenaciously on the decisive next stage of his grand vision for a better Britain. A draft manifesto for an election planned for 1940 set out radical proposals: they included action to bring the whole population within the national health services he had already established, a wider and more generous pensions system developing a Chamberlainite achievement of 1925, the introduction of family allowances, and the intensification of this massive slum clearance programme. Under Chamberlain more new houses were built every year than under post-war Conservative governments with their 300,000 annual target. It all added up to a welfare programme that provided for a properly funded, two-way partnership between the individual and the state, unencumbered by the plethora of benefits that were to drag Britain down in the post-war world. Whether he was in Birmingham or Downing Street, Neville Chamberlain always balanced the books. History did not go his way. The 1940 election that Labour would have lost did not happen. The war-time coalition with a Prime Minister who was profoundly uninterested in domestic matters or the standing of the Conservative party enabled Labour under Attlee to extend its and the unions' control over the whole country and to emerge from the war as a serious and victorious organization, something that nobody could have predicted in the thirties. The question that none of us can answer is: would Chamberlain's plans have produced a welfare system that was much in demand at the time that did not undermine the social and economic structures in the way Attlee's has done. The secondary question is can that blueprint be revived and used for the very necessary reforms or does the wheel have to be reinvented. Next week the Royal Academy (an institution that does not get any state subsidy) will have an exhibition of Johann Zoffany's paintings. As the Guardian points out, two years ago Tate Britain (an institution that gets a good deal of state subsidy and whose remit of displaying British art is sadly neglected) decided that an artist they considered to be marginal did not deserve an exhibition because not enough people will attend it. 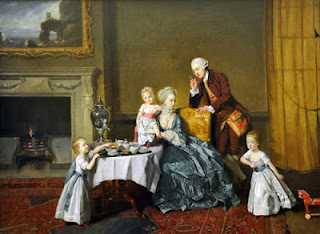 As a matter of fact, Zoffany was reasonably important though not a genius on the Reynolds and Gainsborough level. However, the idea that only geniuses deserve exhibitions is rather an odd one and I am very glad that the Royal Academy does not go along with it. Johan Zoffany RA: Society Observed, a collaboration between the Royal Academy and the Yale Center for British Art, makes a virtue of Zoffany's marginality and mobility, showcasing his panoramic gaze. He was as interested in beggars and streetsellers as nabobs and queens. Zoffany was a man on the move: painting in Germany, Italy, back to Germany, England, back to Italy, India and back again. One of his rare disappointments was the failure to secure passage as ship's artist on James Cook's second voyage to the South Seas. Zoffany's career exemplifies the fertile possibilities of a booming European and global art market. An interesting painter, a founding member of the Royal Academy, a friend of many people in many walks of life and an artist through whose life and work we can find out a good deal about eighteenth century society and the artist's role in it. 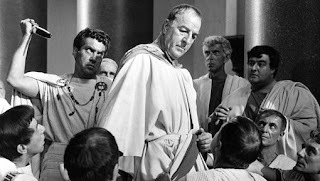 Rome was the great artistic cosmopolis, teeming with architects studying classical ruins, artists in training from all over Europe, as well as young British milordi picking up a smattering of taste and connoisseurship before they went home to inherit. It was the capstone of a gentleman's cultural education. A man who had never visited Italy was always conscious of some inferiority, said Dr Johnson. In Rome, the young German learnt the visual lingua franca of the British. Suitably polished, Zoffani returned to Germany in 1757 and achieved his first appointment as "court and cabinet painter" to the elector of Trier. But a hidebound and peripheral court was an anti-climax after cosmopolitan Rome. Though he married an innkeeper's daughter from Wurzburg, the ambitious artist did not cool his fiery heels for long in Germany. Three years later he moved on to London – the metropolis of commercial modernity, the biggest city of western Europe. To modern eyes, Georgian London may look small and compact, only a few square miles, which could easily be crossed on foot, but to contemporaries the English capital was a breathtaking phenomenon, a very monster of greatness. To Daniel Defoe, London was the new Rome: "Such a prodigy of buildings, that nothing in the world does, or ever did equal it, except old Rome in Trajan's time." London represented an intense concentration of commercialised culture, retail and art, as well as rank and buying power. It was the great city of opportunity for a young man of parts. London, I have been told recently, needs such a body as the Greater London Authority (that has very few powers) in order to be a strong, important and influential city in the world. How, I asked, did it manage for the centuries before. What would Johann Zoffany have said to that peculiar notion? History Today has started a new blog in conjunction with Endeavour Press. Called The Siren, it appears to be very well worth reading. 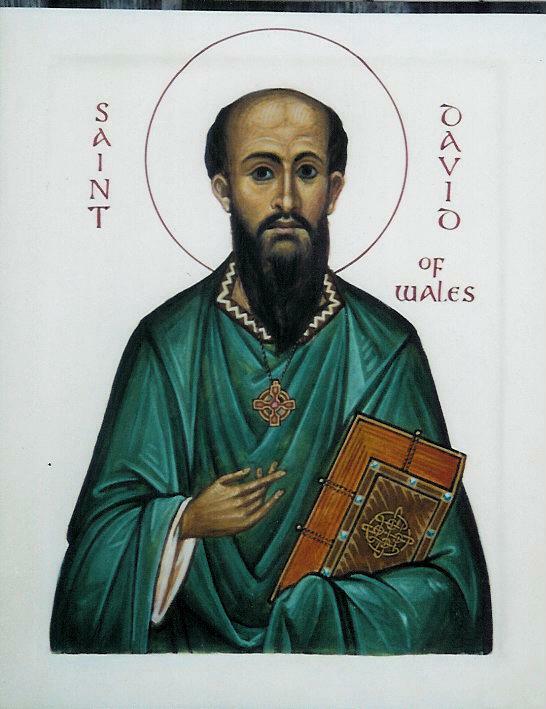 St David, the Patron Saint of Wales is listed among Western Orthodox Saints. Astonishingly enough, he was actually born in Wales and was a Bishop there in the 6th century. According to Wiki there is a relatively large amount of information about him though, one must admit, some of it is undoubtedly mythical. Even in Wales in the early Middle Ages they did not live to a 100. Here is some more information about Dewi Sant.